I really wanted to like this Fidelio. In this, his first opera production, Gary Hill took his main idea from Harry Martinson’s sci-fi novel Aniara and set the opera on a doomed spaceship hurtling through infinity – though in the final scene Don Fernando seems to suggest that it’s not as doomed as everyone seemed to think. Video installations can work very well on the opera stage – they were a major contribution to the success of Jonathan Kent’s Die Frau ohne Schatten in the 2011 Festival – and I’m certainly not averse to a contemporary updating of an opera, so long as it is consistently thought through. I found the beauty of Hill’s video designs for the opening scenes rather compelling and often very beautiful, and I was prepared to buy into the cosmic resonances that he was (presumably) trying to bring out of Beethoven’s story. It quickly became apparent to me, however, that I was sitting through the biggest dog’s breakfast of an opera production that I had seen in many years. The simple problem is that Hill has taken two works of art, both of which he presumably loves, and bolted them together without any thought to their sheer incompatibility, so that what we see on stage is a study in mutual obscuration, not enlightenment. Even allowing for the possibility that maybe the ship isn’t as doomed as we’re led to believe, how did he expect to account for the arrival of Don Fernando, the deus ex machina on whom the story’s climax depends? More problematically, the concept removes any significant contrast between Florestan’s dungeon and the rest of the ship as both, effectively, are great prisons. The appearance of the production soon became wearing before becoming outright absurd: Hill’s video images ranged from the bleedin’ obvious (coins during Rocco’s gold aria) to the inane (geometric patterns scrolling randomly over the gauze curtain) and they very quickly lost their power to impress. The costumes, particularly the sticklebrick outfits given to Marzelline and Don Fernando, looked as though they had come from a bad Blake’s Seven tribute act, and the characters whizzed around for much of the action on Segways, for no other perceivable reason than to prevent any genuinely interesting interaction between them. Basic issues of stagecraft were completely lost so that, inexcusably, major turning points like the revelation of Leonore’s identity passed for absolutely nothing. Worst of all, Hill re-wrote much of the text, a sure-fire sign that a director is clutching at straws. The spoken dialogue contained umpteen references to lasers, capsules or the observation deck, and the supertitles were often mistranslated to fit in with the space-age concept: unforgivably, the text of the final peroration removed any reference to the importance of married love, which is the central theme of the work. You know things are bad (or should I say desperate?) when a director begins to tinker with the original to serve his purpose. No matter how you dress it up, you can’t get away from the fact that this Fidelio was a serious misfire. It’s one thing to have it in Lyon, but it was a serious mistake to bring it to a festival of Edinburgh’s stature. The last Fidelio to feature at the EIF was Tim Albery’s 1994 production for Scottish Opera, a home-grown product that was dramatically superior to this one in every way. 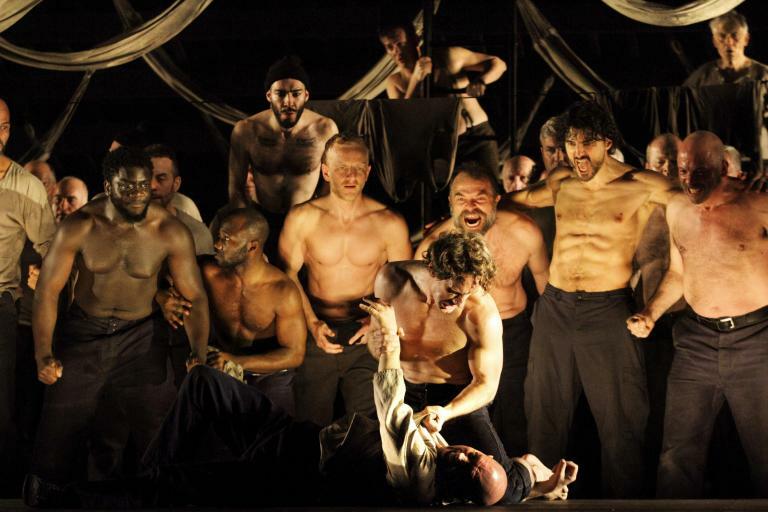 There have already been rumblings in various circles about the quality of the EIF’s opera programme in recent years and, with only six performances of three productions, I fear that this year’s has hit the doldrums. Something needs to be done before some serious damage is done to the EIF’s reputation in this field.